The simplicity of a meringue cookie. Thankfully though, it turns out they’re not nearly that complicated to make. 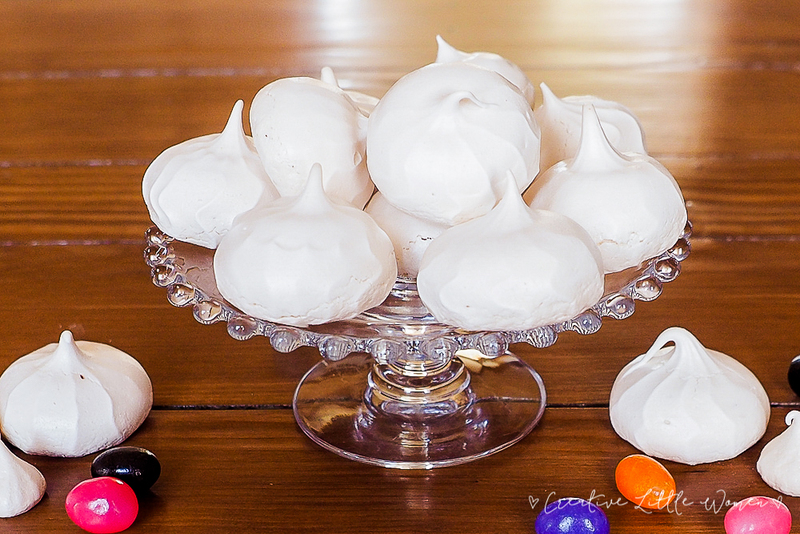 Meringue cookies are made of a basic five ingredients: egg whites, sugar, vanilla extract, cream of tartar, and salt. The recipes vary, but are all very similar and can easily be found online. Personally, I just googled for a recipe and used the one here. Step one involved blending all ingredients together, except sugar, in a mixer until foamy. 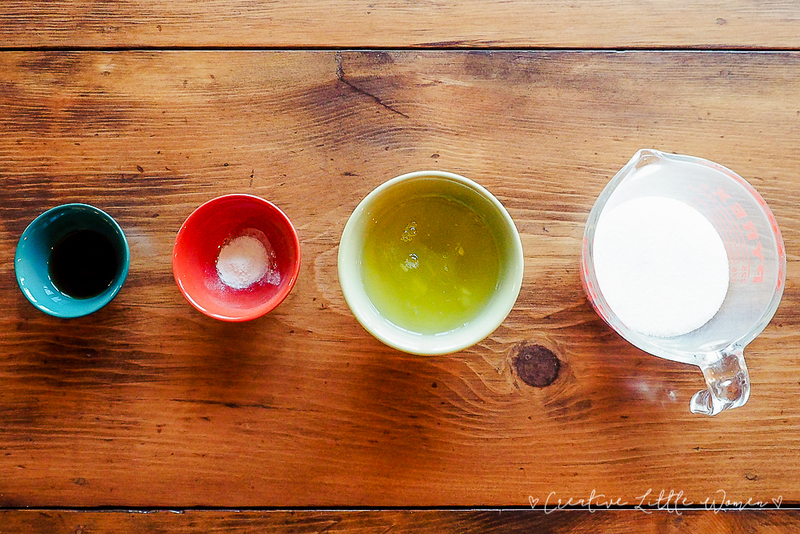 The sugar was then gradually added while mixing on high speed. 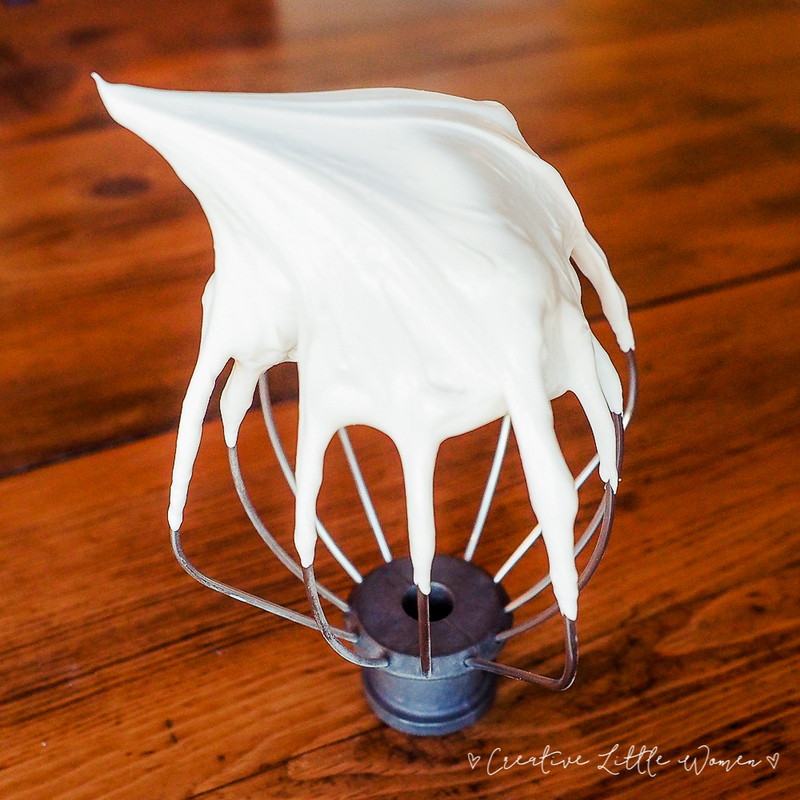 After a time period that felt like FOREVER (about 7 minutes), the meringue formed stiff, glossy peaks and was ready to be used. The messiest bit by far was trying to force this sticky mixture into pastry bags. Sugar was everwhere (not that I’m complaining). I ended up keeping the bag standing up in a glass as I scooped the meringue in, which worked…..fairly well. Then all that was left to do was pipe them onto the covered baking sheets. 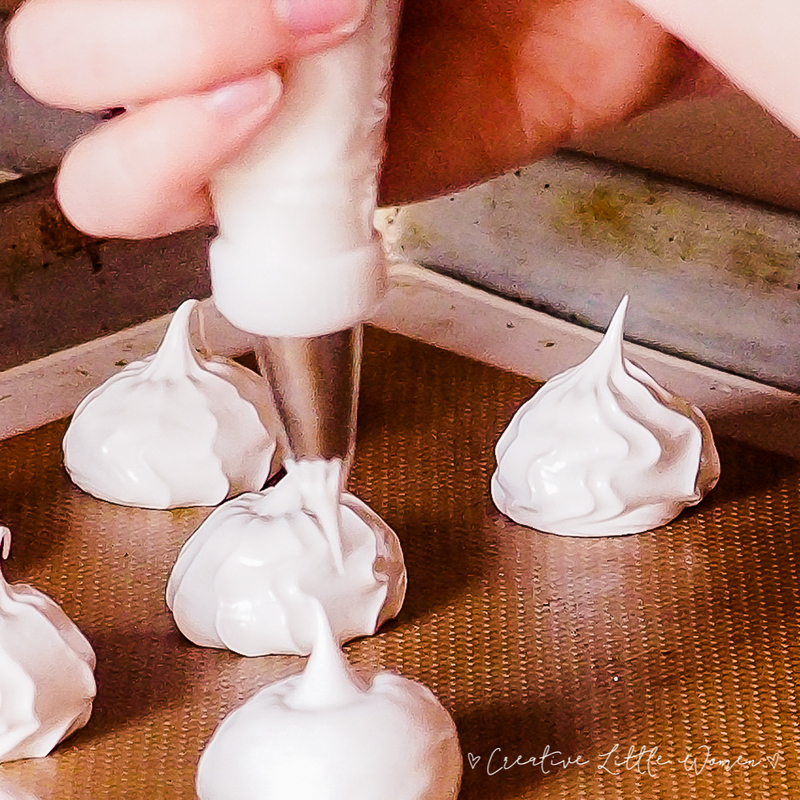 The meringues were then baked for 45 minutes in a 250° oven, then kept in the closed oven for an additional hour. Now for the most important part: RESULTS . You need to know if they’re even edible, right? Well, the texture of the meringues turned out well. They were fully dry and crisp, not to mention the color they should be (I sometimes end up with brownish meringues…which isn’t right). One issue I had was that each cookie had a large air bubble near the top, which definitely took away from its quality. I’m open to suggestions on how to fix this! Finally, the accidental success of the day was having too much meringue and not enough pans, resulting in the decision to pipe “mini” meringues in between the larger ones. Now it might just be my obsession with everything bite-sized, but I definitely favored these over the actual cookies. 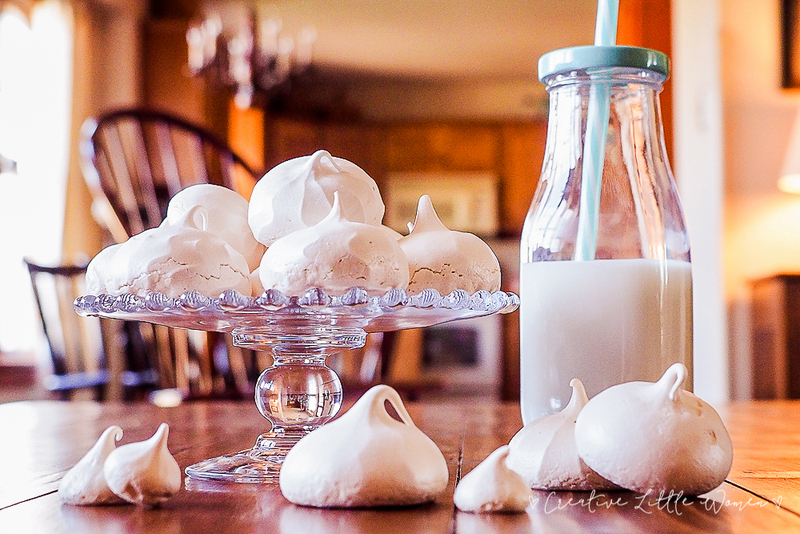 Needless to say, I will be attempting to make an entire batch of mini-meringues in the near future. Until then, I highly recommend everyone try these “magical cotton candy cloud” cookies, if you haven’t already.